Oh, happy day! 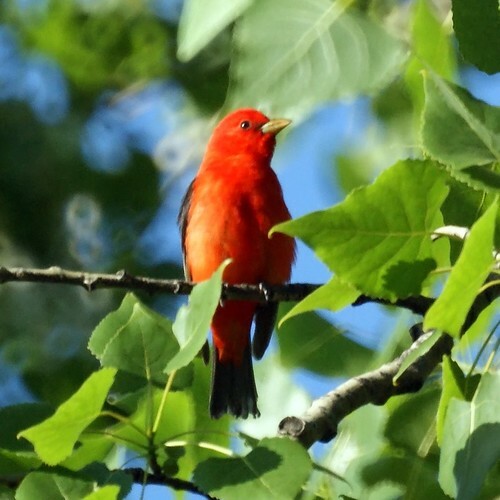 Mike's goal for this May (his birthday month) has been to see and photograph a Scarlet Tanager. 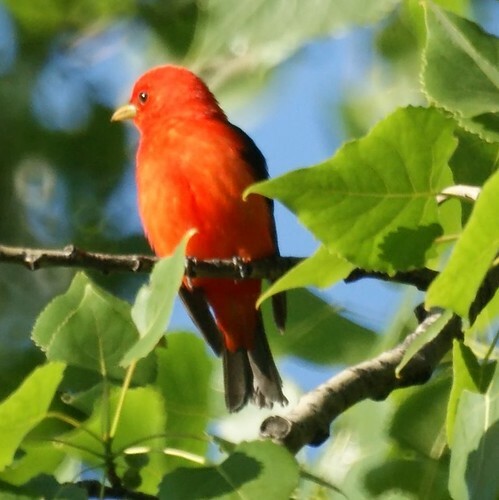 We got the two quick glimpses of the one in our neighborhood park, but today we had a long time to enjoy this one posing for us high in the treetops at Liberty Park in Jersey City, NJ. 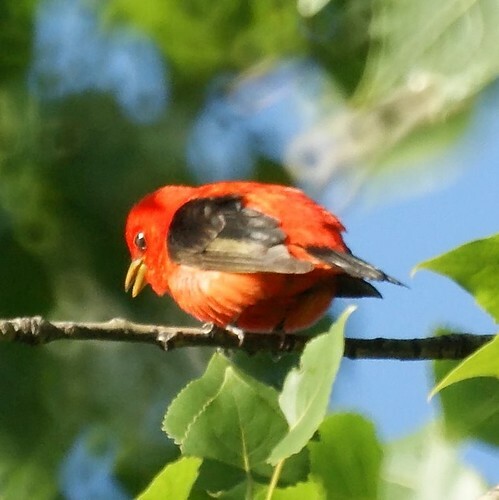 I have scarlet tanagers in the yard. 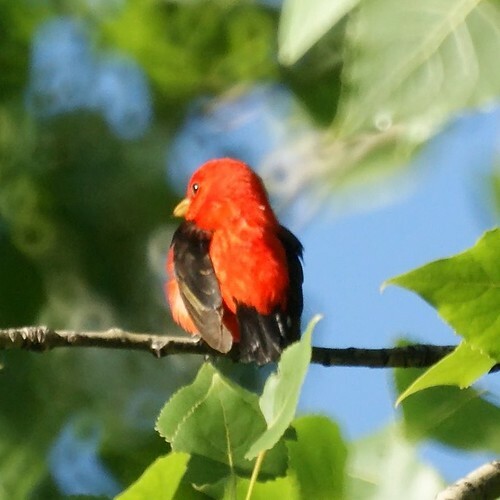 I also have a similar bird that has a slate gray head and mottled red/black on back; bright red on the belly and yellow short beak. Can anyone identify him for me?